Seating is limited. Reservations may be made directly by clicking the link HERE. 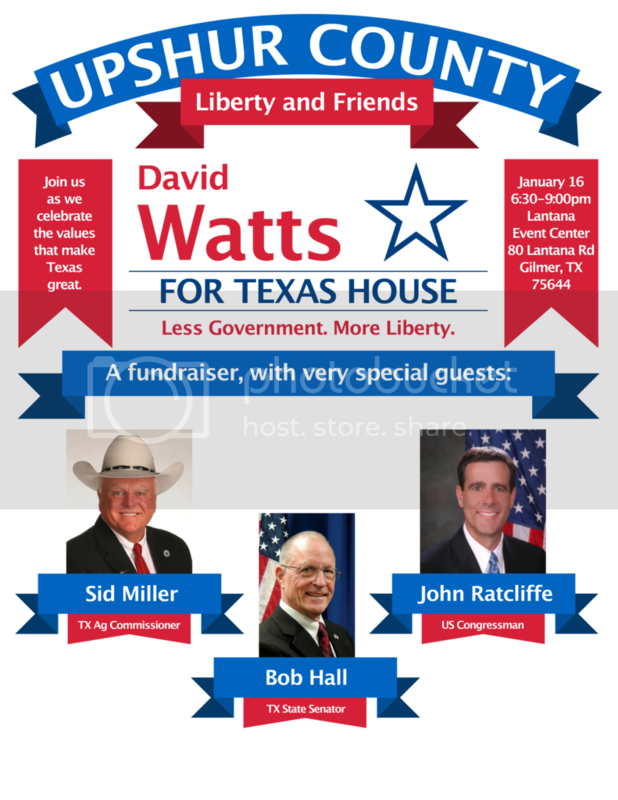 Please note: EAST TEXANS FOR LIBERTY does not endorse. When information is received from any candidate on their events or asking for assistance, we will forward it for your review and consideration. Thank you!